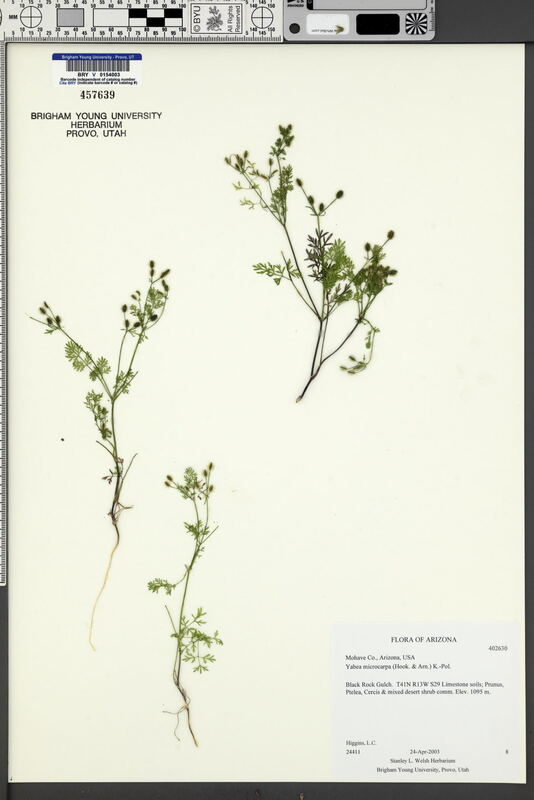 Taxon: Yabea microcarpa (Hook. & Arn.) Koso-Pol. Locality: U.S.A., Arizona, Mohave, Black Rock Gulch. Verbatim Coordinates: 36.92475 N 113.72804 W ± 1127 m /// T41N R13W S29 . Habitat: Limestone soils. Prunus, Ptelea, Cercis & mixed desert shrub comm.